In 1997 the farmers had decided to declare neutrality and to refrain from cooperation with any of the armed groups in the war-torn Urabá region – be it the state, the paramilitaries, or the guerrilla. After decades of displacement the community hoped that neutrality would allow them to stay on their land. In the face of continuing attacks, the people hold on to their project which they call »el proceso«. 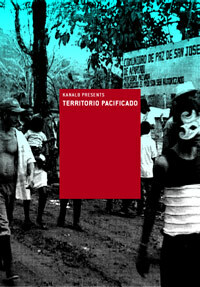 »El proceso« stands for the search for political alternatives in a conflict profiting few and victimizing many.